Are you curious about all this hub-bub over some old vehicle? 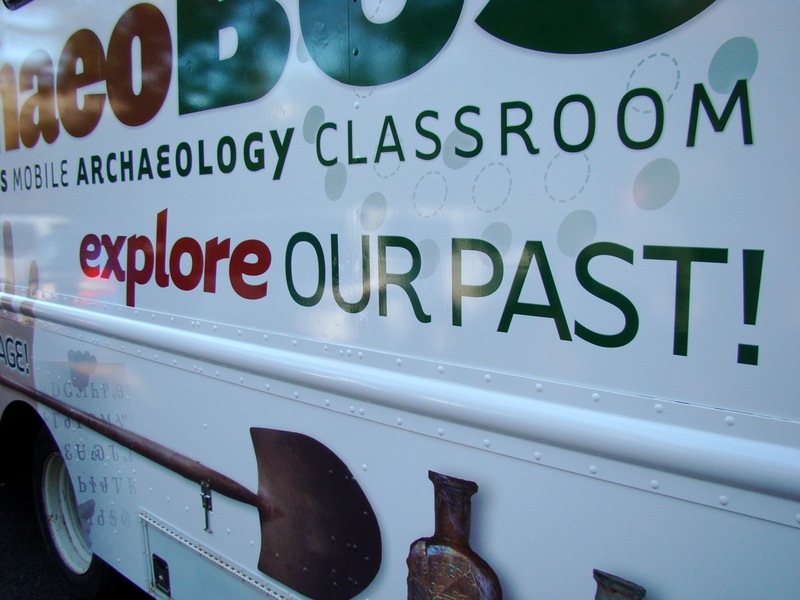 Come satisfy your curiosity and see the brand new ArchaeoBus at its christening. The ArchaeoBus, (A.B or “Abbey” for short), becomes official on Saturday, May 16, 2009! The outside in its new splendor will be unveiled before your eyes. Walk through the bus to see the interior exhibit and storage areas. Examine table-top activities beneath associated tents around the bus as you enjoy light refreshments. This unique event will take place on May 16, 2009 at 3:30 p.m., following the last paper of the session at the Spring SGA meeting in Macon. The unveiling will occur in the parking lot adjacent to the Taylor Building (where the SGA meeting presentations will be given) on the campus of Wesleyan College. Won’t you join us?